Paperback, 6 x 8.25 in. / 446 pgs / 20 bw. By Joshua Decter. Edited by John Miller. 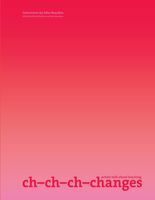 In this volume of selected essays, interviews, curatorial texts and reviews, spanning 1986-2012, Joshua Decter examines contemporary art in relation to its various ideological, public, discursive, and social contexts. The book encompasses seven chapters: "Institutional Critique® and its Discontents"; "Aporia (art as politics, the politics of art)"; "Everything is Social"; "Convoluted Cities"; "The (Un)De-definition of Art"; "What Do We Want from Exhibitions? "; and "On the Curatorial Road." The author unpacks art's paradoxical condition: art problematizes, and is intrinsically a problem. From this standpoint, he analyzes art's definitions, functions, ethical entanglements, societal aspirations and cultural contradictions. The author examines art's ability to problematize political and cultural discourses, and to express its own unique and knotty contradictions. As close to a textbook on contemporary art as was published this year, Decter’s Art Is a Problem is itself a problem — neither comprehensive salvo nor dry historical survey. Uniting Decter’s critical and curatorial output from 1986 to 2012, the book comprises texts from both career endeavors, including an important interview with Thelma Golden on the question of representation within the museum and curatorial essays from several of the author’s pioneering exhibitions. (I also happen to have cited one of his early projects in my review of another Best of 2014 selection, New Ghost Stories at the Palais de Tokyo.) Students of the period — and of Decter’s areas of interest (art in institutional, social, and discursive contexts, among others) — will find this volume indispensable. Saturday, May 3, at 3pm, New York-based writer, curator and art historian Joshua Decter will discuss his new book, Art Is a Problem: Selected Criticism, Essays, Interviews and Curatorial Projects (1986-2012). By examining contemporary art in relation to its various ideological, public, discursive, and social contexts, Decter recognizes art’s paradoxical condition: art problematizes, and is intrinsically a problem. From this standpoint, he analyzes art’s definitions, functions, ethical entanglements, societal aspirations, and cultural contradictions. 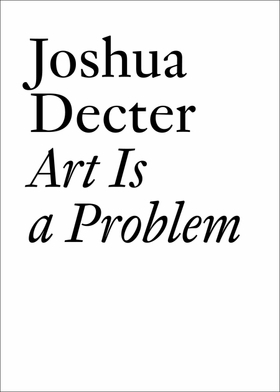 This Wednesday, April 23, in celebration of Art Is a Problem, New York-based writer, curator and art historian Joshua Decter's new book of selected criticism, essays, interviews and curatorial projects, the New York Public Library presents Decter in conversation with the book's editor, artist & writer John Miller, alongside writer and curator Chelsea Haines, artist Paul Ramírez Jonas, and curator Ruba Katrib. Edited with text by François Bovier, Adeena Mey, Thomas Schärer, Fred Truniger. Text by Renate Buschmann, Marcy Goldberg, Ute Holl, Ian Wooldridge. By Tomáš Pospiszyl. Edited by Vít Havránek. Text by Sven Spieker. Edited by Clément Dirié, Shanay Jhaveri. 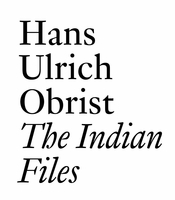 Text by Shanay Jhaveri, Hans Ulrich Obrist. Edited by Tim Griffin. Text by Daniel Baumann, Johanna Burton, Bettina Funcke, John Kelsey, Vincent Pécoil, Scott Rothkopf, et al. Edited by François Bovier, Adeena Mey. Text by Xavier García Bardón, François Bovier, Érik Bullot, et al. Edited by Cristina Bechtler, Dora Imhof. Text by John Baldessari, Bice Curiger, Chris Dercon, et al. Edited by Kathy Slade. Text by Jeff Derksen. 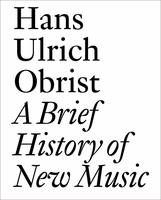 Edited by Meg Cranston, Hans Ulrich Obrist. By Igor Zabel. Edited by Igor Spanjol. By Clive Phillpot. Edited by Lionel Bovier. Introduction by Lionel Bovier, Christophe Cherix. By Raymond Bellour. Edited by Lionel Bovier. Edited by Gabriele Detterer. Text by Gabriele Detterer, AA Bronson, Christoph Cherix, Maurizio Nannucci. By Dorothea von Hantlemann. Edited by Karen Marta. Foreword by Hans Ulrich Obrist. By Christian Höller. Edited by Anne-Julie Raccoursier. Edited by Hans Ulrich Obrist. 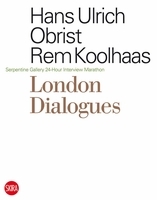 Edited by Hans Ulrich Obrist, Rem Koolhaas. Edited with text by Niekolaas Johannes Lekkerkerk. Text and afterword by Timotheus Vermeulen. Edited by David Mollin, John Reardon. Introduction by Robin Mackay. Text by Reza Negarestani, Elie Ayache, Matthew Poole. FORMAT: Pbk, 6 x 8.25 in. / 446 pgs / 20 b&w.